We looked at the top 10 Shock Collars and dug through the reviews from 58 of the most popular review sites including Top Dog, Canine Weekly, Ah Joo, Pet Loves Best, Gun Dog Training, Mrs. Doggie and more. The result is a ranking of the best Shock Collars. Our experts reviewed the top 10 Shock Collars and also dug through the reviews from 58 of the most popular review sites including Top Dog, Canine Weekly, Ah Joo, Pet Loves Best, Gun Dog Training, Mrs. Doggie and more. 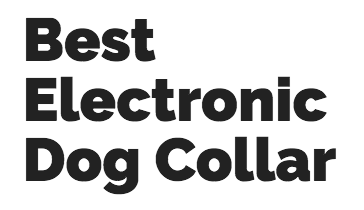 The result is a ranking of the best of the best Shock Collars. The No. 1 best overall pick is a versatile, waterproof e-collar that features a 500-yard range and is submersible down to 25 feet. It can be used to train three dogs using the same transmitter with the purchase of additional collars. It doesn't take long to recharge this collar's batteries, either. DWYM Pets Experts plus BestReviews, Dog Collar Reviews, Peanut Paws, Ah Joo. Along with user reviews from Amazon.
" Offer versatility for both large and small dogs and different breeds." 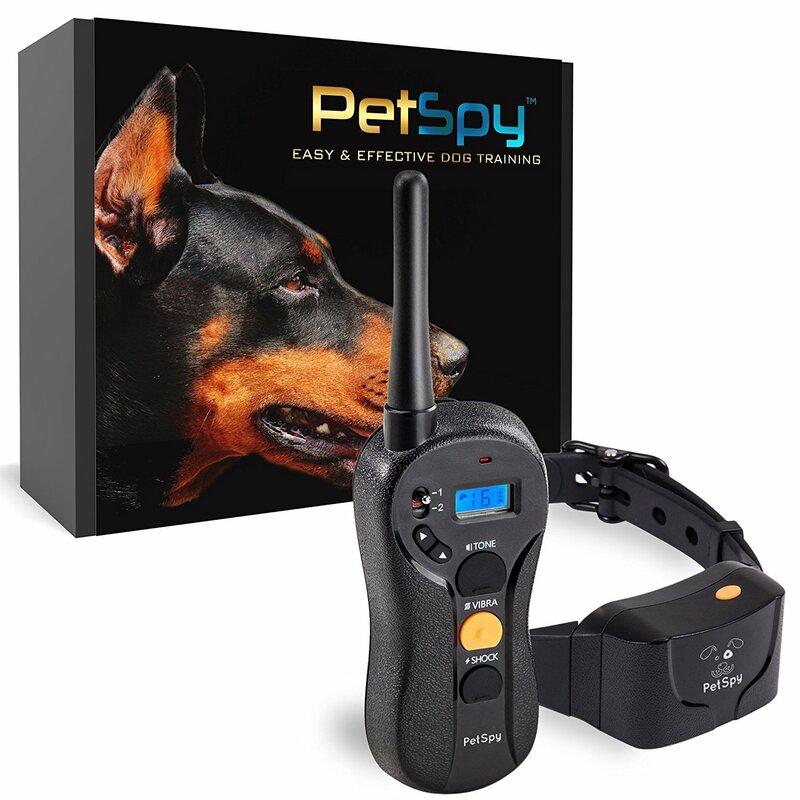 "Not recommended for dogs under 8 pounds"
This shock collar has a strong signal connection that can penetrate walls and doors, plus both the receive and transmitter are waterproof. It has enough adjustable static stimulation levels and tone levels to customize for your specific dog. What really sets it apart is the larger neck size that accommodates huge dogs with necks up to 28 inches in diameter. DWYM Pets Experts plus BestReviews, Dog Collar Reviews, Best Consumer Reviews, Canine Journal. Along with user reviews from Amazon.
" Transmitter signal penetrates walls and doors"
"Not as suitable for stubborn dogs who are harder to train with lower levels of static stimulation"
This shock collar works well for at least two dogs with easy-to-use channel-switching. It has three different training modes including vibration, static shock and sound with special touch distinguishing buttons enabling blind operation. It also boasts a extensive range of up to 650 yards. DWYM Pets Experts plus Mrs. Doggie, Best Electronic Dog Collar, HQ Review, Pet Lover Guy. Along with user reviews from Amazon.
" Suitable for at least two dogs and the channel-switching capability of the product allows you to select quickly between multiple dogs"
"Less customizable than its competitors despite the sixteen different intensity levels. – Not useful for dogs with a lot of fur." This collar won't break the bank and it's a good choice for beginners, with its two waterproof receivers. It includes three different adjustable modes, a beep, vibration and shock stimulation. It stands out with 100 different levels of stimulation for the utmost in customization. DWYM Pets Experts plus BestReviews, My Pet Needs That, Ah Joo. Along with user reviews from Amazon and Walmart.
" An affordable option w/ 3 stimulation modes and a wide range of levels to suit various dogs/training needs"
"Doesnt come with visual stimulation or correction. May not fit dogs with neck circumference greater than 22 inches." We identified the majority of the shock collars available to purchase. 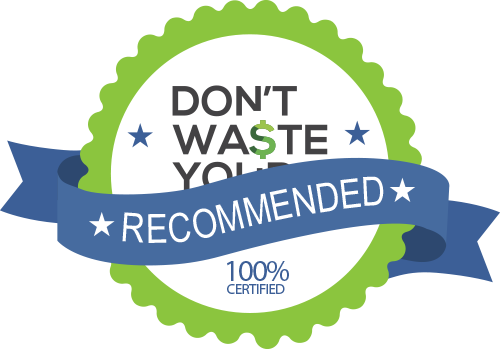 Reviews from our DWYM category experts and analysis of some of the most respected sources including: Top Dog, Canine Weekly, Ah Joo, Pet Loves Best, Gun Dog Training. Offer versatility for both large and small dogs and different breeds. The 425 also provides numerous levels of vibration and tone allowing for a completely customizable experience catered for you and your dog’s needs. Can be used for training 3 dogs at the same time. Quick recharge and long usage time per charge. Some compliants about battery life. This training collar is suitable for dogs 3.6kg or larger with neck sizes of 12.7cm to 55.9 cm. The stimulation is quite low. 100 fully customizable training stimulation modes. Stubstantially wide transmitter range. Can be used for multi-purpose training. 100 levels of vibration and stimulation. Water-resistant and rechargeable. Doesnt come with visual stimulation or correction. May not fit dogs with neck circumference greater than 22 inches. No matter whether you adopt an older rescue pup from the local shelter or bring home a brand new puppy, every new four-legged friend will need some training. Depending on the breed, training may be a breeze or an uphill battle. And, that training may take years. Some dogs are notoriously stubborn and even the tastiest of treats won’t be enough to convince them to follow basic commands. Sit, down, stay and come aren’t just cute tricks. They are vital to your dog’s wellbeing and your own sanity. Training and nurturing an obedient dog can help keep your dog healthy and safe throughout its life. When all else fails in training and dogs simply won’t listen, exasperated owners will turn to a shock collar, also known as e-collars or collar mounted electronic training aids. The shock collar attaches around the dog’s neck like a regular collar. It has two prongs that emit the vibration and shock directly into the dog’s sensitive neck. The owner can control the level of vibration and timing via a remote. Shock training is polarizing. It can be a very divisive topic within the dog community. While proponents swear by its efficacy, others can’t stand it. They consider the shocks to be cruel and abusive. At its most basic, a shock collar is a mode of operant conditioning. This is a fancy psychology term for a learning process. It relies on rewards and punishments to teach a new skill and eliminate unwanted behaviors. When done properly, the trainee, in this case your dog, makes an association between a particular behavior and a consequence, the collar’s jolt. Shock collars do emit a noticeable jolt, which is what many opponents take issue with. They worry that the jolt is painful and causes undue anxiety in the dog that could be counterproductive to any training. However, the shock collars on the market now have a wide range of settings. They begin at barely perceptible vibrations and escalate in incremental bits to higher and higher voltages. You can place the collar on your own wrist to feel the sensation for yourself before placing it on your dog if you’re concerned. Plus, you’re able to fine tune to the perfect level to grab their attention. Then, they stop the unwanted behavior and tune in to you and your command. There are several important factors to consider when selecting a shock collar for your dog. First, you want to ensure it will fit properly around your dog’s neck. Most models have adjustable straps that can fit a range of sizes. They will include measurements so you’ll know if a specific collar will work for your dog. Shock collars also have a range of shock settings. Most have three distinct settings: sound, vibration and shock. You can slowly escalate from sound through vibration levels and shock as needed to get your dog’s attention. How much the unit on the collar weighs also matters. For smaller dogs, the units can be bulky, weigh your dog down and even impede their movement. If they’re uncomfortable to start off, they won’t be as willing as trainees. Still, other more advanced models allow for customized settings and multiple modes. This allows you as the dog owner to essentially switch between two different collars with one remote control. You can also be confident that the shock level is set properly for each pooch. All the shock collars run on batteries, so you’ll want a model with decent battery life. The last thing you need is a runaway pup and no juice left to alert them back to reality. The biggest benefit of shock collars is their value. Compared to the cost of a professional trainer or behaviorist, a shock collar is a budget buy with a big return. In general, shock collars range from $35 up to $200. You can find an excellent model with a variety of features for around $75. The shock collar training method dates back to the late 1960s. They were first utilized to train hunting dogs. Since then, they’ve been embraced for a wide variety of dog breeds and general training. They are a common part of modern obedience training. Shock collars also help with training service dogs, including animals in police departments or the military. The high-end collars come with advanced safety features built in. Some have GPS to help owners track down a pet. Others include lights and sounds, which are especially useful for hunters keeping track of their dogs. In spite of research and a growing history of efficacy, shock collars remain a polarizing training method in the dog community. Pay attention to the size of the collars. Most can be trimmed or adjusted to custom fit your dog’s neck within a certain measurement range. Consider how many dogs you will want to train simultaneously. Some transmitters can control multiple shock collars on up to three dogs. While you can test the jolt level on yourself, do not place them around your neck and shock yourself or your friends. This is dangerous. When you first start using a shock collar, you want to begin at low levels of vibration and stimulation and work your way up to learn the best setting for alerting and training your dog without causing anxiety or discomfort. Read directions and warnings carefully, because the shock collars do have powerful shock settings at the higher levels and using them incorrectly can be counterproductive in training and changing your dog’s behavior. For the Shock Collar category, we analyzed 58 of the most popular reviews including reviews from Top Dog, Canine Weekly, Ah Joo, Pet Loves Best, Gun Dog Training, Mrs. Doggie and more. The result is a ranking of the best Shock Collars.